So finally Pakistan gets its own Modi – Imran Khan, a populist leader, determined and egoist, a product of constructed myths. 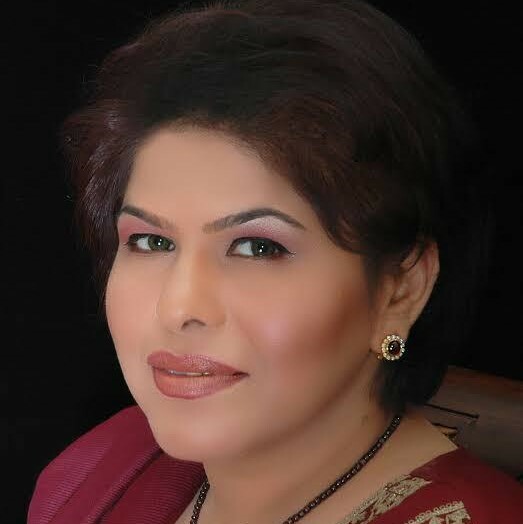 Although the election results are still contested and all independent sources, from the Human Rights Commission of Pakistan (HRCP) to the team of European Union election observers, have said that the 2018 elections were comparatively less fair, Pakistan has taken its step towards a new leadership. Interestingly, the Election Commission of Pakistan continues to struggle with finalising the result due to massive errors in counting and possibly deliberately erroneous counting that has denied even a simple majority for the former cricketer and forced him to look for allies. However, in the minds of millions of people, they have finally been vindicated. The era of corrupt leadership has come to an end. Their hero, who will turn the country around and change the fate of the people and who was stopped for at least a decade, has now arrived. The popular narrative supports Imran Khan. The fact of the matter is that in the minds of millions of Pakistani youth who grew up after 9/11, the search for a new leader that can turn Pakistan around has finally ended. Khan brings hope to the minds of a fast urbanising country, especially its extended middle class and aspiring elite. For these people, the details of rigging do not matter nor the fact that Nawaz Sharif’s Pakistan Muslim League (PMLN) was not totally routed. 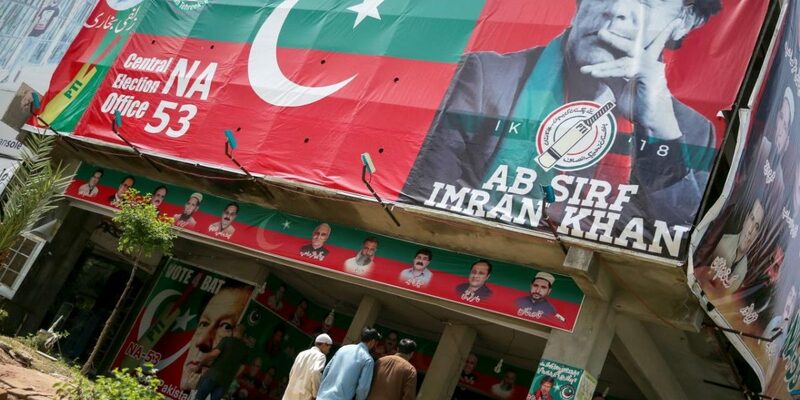 The party trails behind in the the National Assembly with approximately 64 seats but in the Punjab provincial assembly managed to get 108 seats as compared to Khan’s Pakistan Tehreek-e-Insaaf (PTI) with 103. But as a man from North Punjab explained to me on the streets of London, “all educated people voted for Imran and all illiterates for Nawaz Sharif or Zardari”. The argument made by some that corruption is actually a fabricated problem is flawed. Firstly, corruption is not just about the unfair exchange of money but lost opportunities and resources. It is a real issue. Second, in a post-Cold War era devoid of any sound political ideology, anti-corruption matters and has turned into an ideology in itself. When political parties that are left of centre begin to look like those right of centre, and there remains little difference ideologically, issues like anti-corruption become centre-stage. Khan’s charisma is built on the myth that he is the cleanest of all the leaders in the country and has no baggage. Additionally, his charisma was carefully constructed. In a video recently pushed out by the powerful establishment, people in Pakistan were reminded yet again that the country has now got a leader who is not compromised like Nawaz Sharif. Moreover, it gives a list of names of different journalists, accusing them of working at the behest of foreign agencies to create doubts about Imran Khan’s election. Without doubt, Khan’s charisma has been meticulously constructed. In fact, in the coming days and months, even before Khan manages to prove his worth, the narrative building machine will have gone on over-drive to emphasise how different he is from other leaders. While he represents a bit of Pervez Musharraf’s character in terms of his brash nature, Imran Khan’s voters expect him to be a bit like Ayatollah Khomeini too, someone who will be willing to publicly hang the corrupt or anyone presented by the narrative-building machine as a traitor. If nothing else, the PTI has produced a generation of youth with a militaristic mindset known for being undisciplined, abusive and ready to shoot from the hip at anyone viewed as countering a sharply statist ideology. In this respect, Khan and his PTI compare with any hyper-nationalist, politically ultra-conservative leadership of modern times – from Narendra Modi and Donald Trump to Benjamin Netanyahu and Kim Jong-un – displacing humanism with stark nationalism and corroding the national psyche with brutality. In Pakistan, Imran Khan has an advantage over his competitors – which is that the military establishment, judiciary and other institutions are willing to work with him as long as he remembers to stay within certain limits. Notwithstanding the constructed myth that he is a maverick and will set civil-military relations in the right direction, Imran Khan is a leader who does not have roots deep enough in the polity to trouble the generals. The problem with Nawaz Sharif was that he had begun to emerge as a counter-weight. Even if Khan thinks that he can emerge as an uncontested leader of the nation and tower above the military, he has to think twice. The newly elected parliament comprises a large opposition comprising of 64 PMLN members and 48 of Bhutto’s Pakistan People’s Party (PPP). They are likely to keep him on his toes. In any case, it would take him quite a while to muddle through the problems of settling down in his new position. There will be no time for him to even start thinking about harnessing the military. The other major issue for Khan’s anti-corruption agenda is that his own electable legislators comprise people he poached from other parties in order to win the election. These are people grounded in the country’s patronage politics. They and their constituents will continue to demand their pound of flesh. In the minds of the PTI followers, as their own leader explained, “You cannot win elections without electables and money”. However, Khan will soon realise that this is actually a strategic problem. Now it takes over Rs. 10 million to get elected to a provincial assembly seat and double the amount for the national assembly. The overall political system is too weak to ensure that financing is provided by the party. In the good old days, when Imran Khan stuck to the formula of getting new and untainted political blood, he failed to make a dent. The changed strategy brought him to power but is likely to make his anti-corruption slogan difficult to achieve. Khan would have to work on improving systems along with changing hundreds of years of patronage culture. Or given the former cricketer’s habit of taking u-turns, the country may have to muddle through new promises and then see them broken once again. At a macro-level, and given Pakistan’s negative current account balance, balance of trade and other economic indicators, Khan may have little room to play and no options other than to stick to the old formula of dependency relations with China. There is no one else out there to help him pick the threads and start building a Naya Pakistan. Re-setting regional relations will also be a challenge because the PTI will be bogged down in parliament in the face of a strong opposition, leaving little time for any outflanking of the military on the diplomatic front. Perhaps the problem with Pakistan, like other nations, is the mediocrity of our age – one that seems bereft of both revolutionary ideas and leaders. It is only a matter of time before the intoxication brought on by old wine bottled as new starts to wear off.